You have to fill the registration form below and pay the participation fee. You have to select at least 2 arias to train on the course. Repertoire is free. The piano scores of the selected arias must be sent electronically to the class organizer as you register for the class. The Masterclass in opera singing, with soprano Susanna Rigacci, and maestro Ivana Francisci (piano) is open to opera singers and students from anywhere in the world. Rigacci is a world-renowned soprano, who has performed in all the major concert avenues all over the world and holds masterclasses on a regular basis. Join her class now, in the beautiful island of Hailuoto, while you're visiting Finland for the Hailuoto Music Festival 2018! Susanna Rigacci, born in Stockholm, Sweden, into a family of musicians, began her musical and vocal studies in Florence. She has won a lot of singing competitions and embarked on an international career and sung in nearly all world-class opera houses both in Italy and abroad. Susanna sings in six languages and holds international master classes on regular basis in Japan, Taiwan, Sweden, and Italy in five languages. Rigacci has a wide operatic repertoire including baroque and contemporary opera. Her contemporary repertoire includes works of Schoenberg, Berg, Webern, Berio, Nono, Morricone, Piovani, Togni, Castiglioni, D’Amico, Sciarrino, Clementi, Sinopoli, Pennisi, Gaslini, Ferrero, Arcà, and Corghi. Since 2001, she has been the solo voice of film composer Ennio Morricone’s concerts in Italy and all around the world. She is a much appreciated chamber music performer and her concert programmes vary from traditional, formal compositions to musicals, from modern pieces to film music. Thanks to her versatile vocal style, she is able to offer a beautiful, eclectic blend of musical genres. Ivana Francisci graduated from Pescara Conservatorium in piano, harpsicord, and composition. She continued her studies in Lausanne International Piano Academy in Rome and in Geneva Conservatorium. Ivana has had success in various competitions and she has performed all over the world as a solo player in various orchestras. Francisci has recorded chamber music with various woodwind ensembles and as a piano / harpsichord soloist. She worked as the correpetitor of the Marrucino Theater in Chieti during 2005 to 2011. Since 2015, she has been working as the correpetitor of the Guardiagrele Opera festival. Ivana also has a piano teacher's position in Matera Conservatory. Pro tips straight from Ennio Morricone's primo soprano! Nuance, diction, interpretation. In chamber and contemporary arias. The class includes 4 lessons in Hailuoto and Oulu. The schedule may be subject to minor changes, so please bookmark this page. 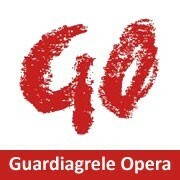 The participation fee is 200 euros (including the Italian VAT 10 %), which is paid in advance to Guardiagrele Opera. The fee is non-refundable, even if you had to cancel your participation! The study program includes preparation and improvement of vocal technique, sound, color, nuance, diction, and interpretation. You can freely choose at least two arias from opera, chamber, or contemporary music as the course repertoire. The materials must be electronically (as PDF files) sent as you register to the course. Pianist Ivana Francisci is available during the class. The participants have to arrange their own accommodations and transportation. You get a participation certificate from Guardiagrele Opera at the end of the Masterclass. Registration has been closed. Thanks to all who registered!